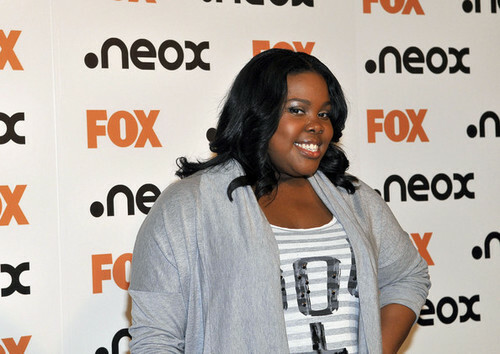 Chris Colfer and Amber Riley Promote 'Glee' in Spain. Chris Colfer and Amber Riley Promote 'Glee' in Spain. Wallpaper and background images in the Glee club tagged: glee cast amber riley chris colfer photocall.